The fashion retailer founded by the former Oasis front man Liam Gallagher has been placed into administration. 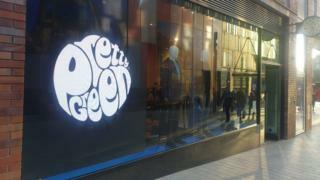 Pretty Green, which has 13 stores across the UK, announced the decision on Friday. "All stores and concessions will continue trading until further notice," said a statement displayed in the doors of its shops. Two partners at Moorfields Advisory Limited were appointed as joint administrators on March 28. "Pretty Green is not immune to the challenges facing the UK high street as customers migrate from purchasing in store to online," said a spokeswoman for Moorfields. Pretty Green was founded in 2009 and employs about 180 staff in the UK.